The rescue of a wild baby chipmunk is not a task that should be undertaken lightly. Like any wild animal, even if the baby chipmunk will eventually take food, that does not mean that it is fully tame. Because they are unpredictable, and for the welfare of the animal, the ASPCA does not support the keeping of wild animals as pets. Getting the chipmunk to feed prior to its being delivered to a wildlife rehabilitation specialist requires special care. Mix the puppy formula with water according to the package directions. The baby chipmunk will not take more than a few drops, if any at all, so don't mix too much at once. Baby chipmunks that have already developed hair and opened their eyes have already been weaned. In this case, the first two steps can be skipped. Draw a small amount of the formula into the medicine dropper and gently nuzzle the baby's snout with the end. This must be done every two to three hours throughout the day for the first week to two weeks of the baby chipmunk's life. Place a bowl of fresh water and a bowl of bird seed in the cage containing the baby chipmunk, but do not try to force it to eat. This could cause stress to the animal. Instead, nurture the wild side of the chipmunk by leaving it alone when it eats. Transport the chipmunk to a wild animal rescue or your local veterinarian as soon as possible. While puppy formula is a safe bandage to get the chipmunk by, it is not composed of the proper nutrients necessary for a chipmunk's survival. Avoid handling or removing baby chipmunks when it is clear that the mother chipmunk is nearby. This significantly reduces the chance of the baby chipmunk surviving. Additionally, handled animals can pick up your scent on their skin. This will cause the mother chipmunk, in almost all cases, to abandon her young because instead of detecting her own scent on them, she smells your scent. 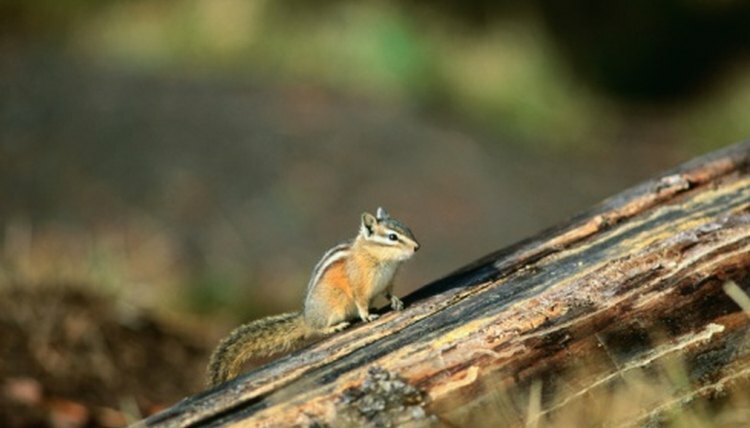 Chipmunks have been known to carry rabies. Use care to avoid infection when around wild animals and transport the chipmunk to a wild animal rescue center as soon as possible.